Everyone's baby will look so precious in these lovely little layettes. 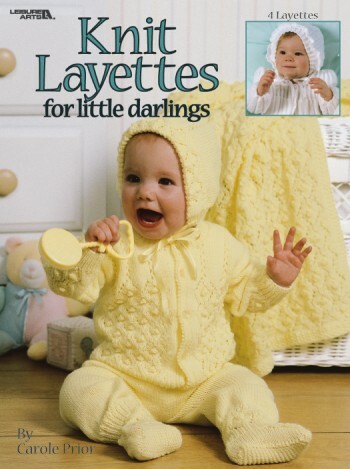 Knitters may choose from 4 sets, each including short or long pants, sweater, bonnet, booties, and a blanket. Everything comes with easy instructions and photography of the projects. Softcover � 16 pages.